Atlantic Coast Property Solutions was happy to transform the backyard for these Marshfield residents. With a lot of empty space, these homeowners wanted to turn their backyard into an area that they could have friends and family enjoy. The new outdoor space they now have at their disposal is one that they are extremely thrilled about. They will be having friends and family over for years to come. 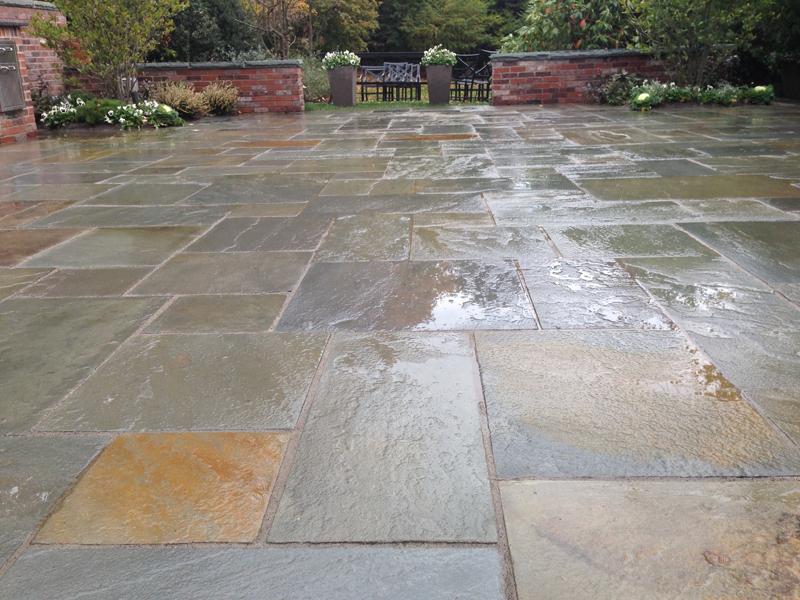 Atlantic Coast Property Solutions just finished up a great project- blue stone restoration. 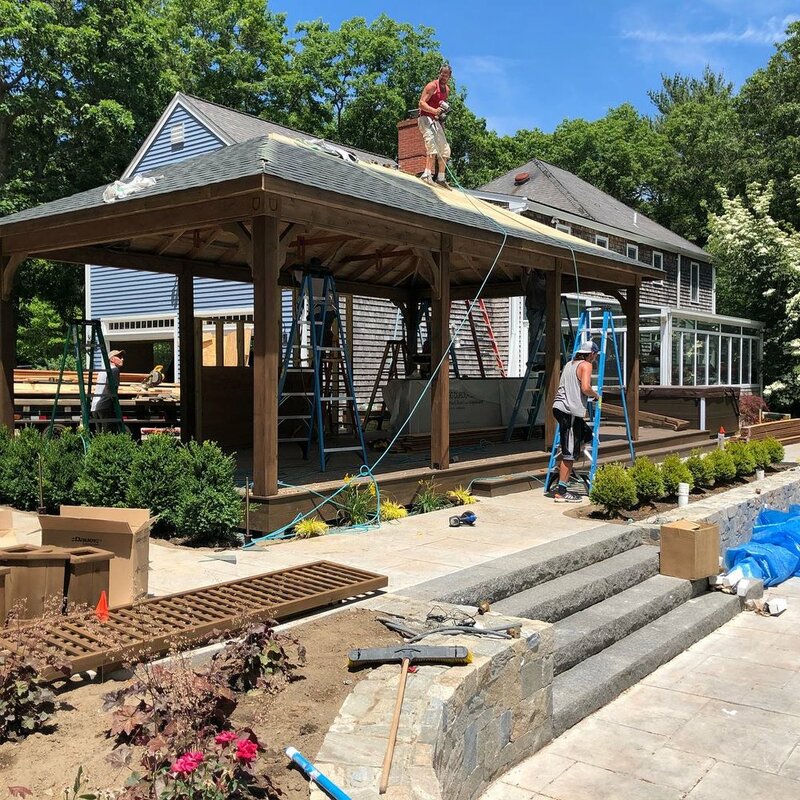 Take a look at the finished patio! Some stones were missing or out of balance. Re-leveled the out of balance blue stone sections and replaced several others. Applied a nontoxic, water-based, fully transparent sealant to protect the blue stone and maintain the cleaning results for up to 10 years. Each siding solution has its pros and cons and at Atlantic Coast Property Solutions we work with three of the most reliable and popular options out there. James Hardie Fiber Cement Siding, Vinyl Siding & Cedar Impressions siding. Today we wanted to talk about the most popular option, Vinyl. Over the years, this siding solution has adapted to what it has become today. Here are some of its main benefits that you draw people to place it on their home. Affordability: Lets be honest…. money drives almost every decision in our life and home improvements is absolutely no exception to this. And vinyl siding in comparison to other siding solutions is more affordable. Cedar and James Hardie can argue there is a reason they cost more but the upfront cost makes it very intriguing. Versatility: When you go with Vinyl siding, you aren’t stuck to one style or one color. It is actually, the exact opposite. Even if you like the appearance of cedar shake siding, vinyl can be made to look authentic. Blue, green, gray, tan, horizontal, vertical, the options are endless when it comes to vinyl siding. Maintenance: One of the main reasons that vinyl siding came to popularity is because of its resistance to so much of natures elements. It is resistant against rotting and termites can look nearly brand new for so many years. All you need to do is clean it every once in a while and you are good to go. 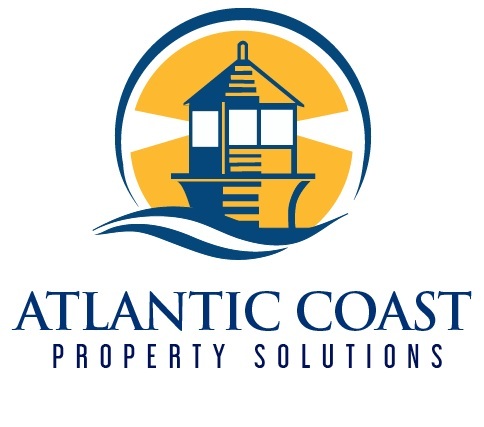 If you are looking for vinyl siding installations, or maintenance around the Greater Boston and south shore areas, Atlantic Coast Property Solutions is here to help. WHAT IF YOUR HOUSE SIDING LASTED THE REST OF YOUR LIFE? Has your house siding started to show some wear and tear? When it comes to new installation or repairs, I recommend the one product on the market that is both durable and beautiful. James Hardie makes the world’s highest performance fiber cement siding, trim, backer board, and more. We recommend this product because it has lasting beauty that is stronger than the elements – even in New England. Our homes are likely our biggest investment and they deserve the best protection. James Hardie fiber cement siding is the world leader in durability and long-lasting color. It also fire-resistant, non-combustible, and will not melt, unlike vinyl siding. The siding is so durable, it comes with a 30-year warranty. It also includes Baked-on ColorPlus® Technology which has greater resistance to fading, chipping and cracking, meaning less maintenance for you. Your siding is exposed to Mother Nature all day, every day, for years. Weather, water, time, fire and pests—can all cause issues. That’s why James Hardie siding and all of their hardworking products are engineered to stand up beautifully to all the elements. They also studied the long-term effects that different climates have on siding, and created the HardieZone® system, to ensure that you get the right product for our specific region. There are a variety of siding options that will work with any house style, Colonial, Craftsman, Modern. We can work together to identify the right James Hardie product that will help you create a historically accurate, architecturally correct and beautiful home. We New Englanders aren’t afraid of harsh winter weather so don’t you want your home to be as tough as you are? 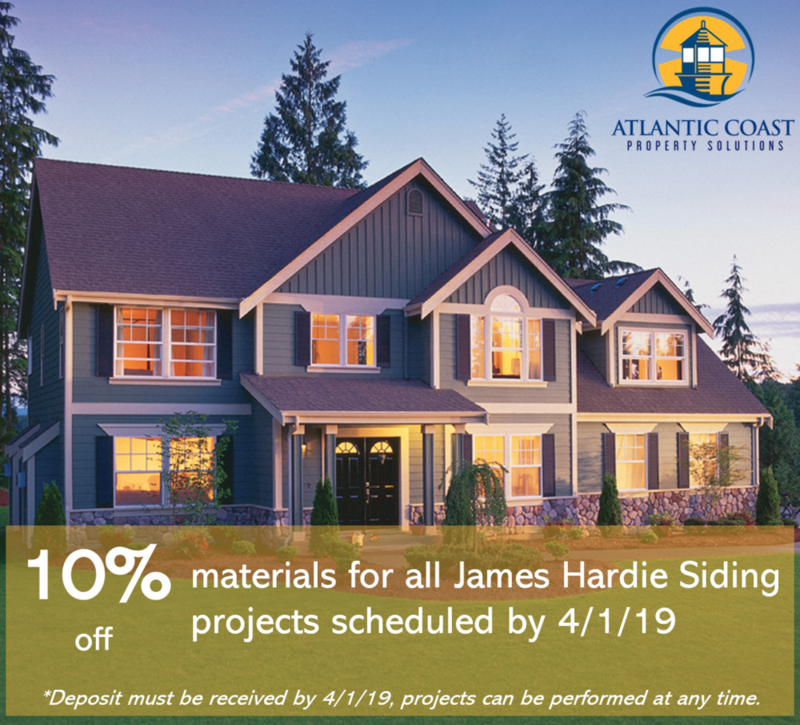 I’m offering a discount for all James Hardie Siding projects scheduled by April 1st, 2019 will get 10% off materials. Please note that jobs can be performed at any time but only deposits received by April 1, 2019 will receive the discount.